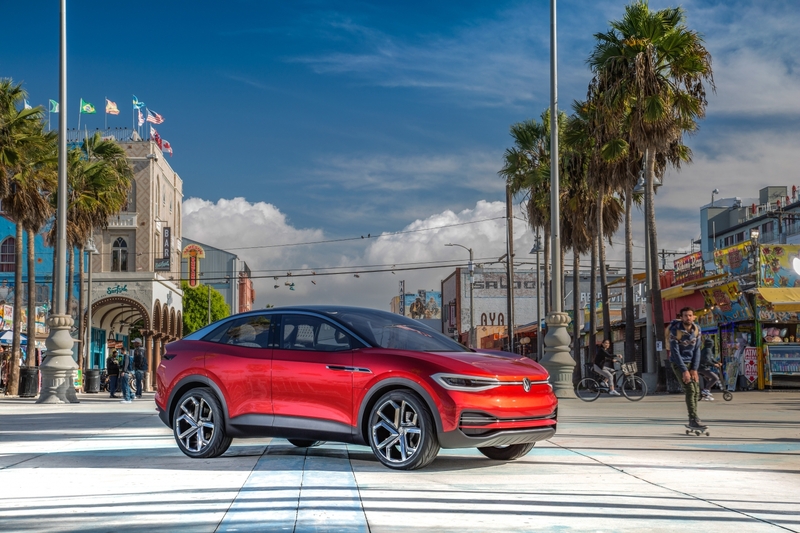 Newsworthy: Volkswagen yesterday revealed at the LA Auto Show that an all-electric crossover based on its I.D. Crozz concept will be available in 2020. An 83-kWh lithium-ion battery pack with a pair of electric motors, one on each axle, will produce a combined 302 horsepower and an anticipated range of 300 miles. The I.D. Crozz will precede the I.D. Buzz microbus by about two years. The two were shown together with the I.D. concept car for the first time in North America…………… Two fledgling Tesla-competitors are facing contrasting scenarios, with Lucid Motors pulling ahead and Faraday Future struggling to raise funds. Lucid is moving its headquarters and doubling the size from Menlo Park to nearby Newark, Calif. The 1,000-horsepower Lucid Air will go into production in 2019 with a starting price of $60,000; and the automaker will be posting ads for more jobs in the near future. Faraday Future is facing a financial crisis next month, according to people familiar with the matter. A $400 million convertible note with a 12% interest charge, will become payable immediately if the company can’t raise the Series A round by December. There’s also about $100 million in unpaid bills as it works on paying off Chinese investors that had financed the debt, the sources said. The future of fuel cell vehicles: Toyota Motor Corp.’s commitment to hydrogen fuel cell vehicles is going down he path of backing the Betamax over VHS in the 1980s, according to Reuters. While the points made are clear on electric vehicles reaching mass market adoption over fuel cell vehicles (FCVs), I think one part of the argument is inaccurate: hydrogen-powered vehicles won’t be going away like the Betamax. 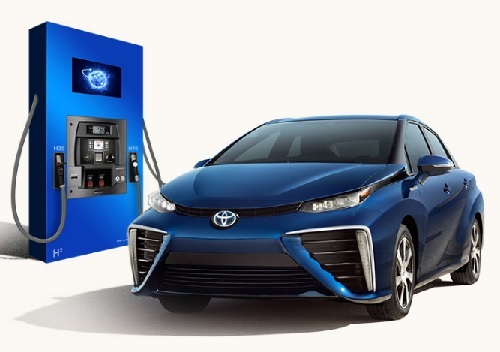 OEMs onboard: While sales figures by Toyota, Honda, and Hyundai for their FCVs are slim – and the number of hydrogen stations are slight in comparison to other alternative fuels – automakers are not going to be leaving FCVs behind. These three automakers have broad plans for the technology in their future vehicles, and a few other major automakers such as General Motors, BMW, and Daimler, are making the investments as well. Elon Musk and Tesla won’t be joining the race, but that doesn’t mean the technology is finished. California backing it: California Gov. Jerry Brown is dismissing President Donald Trump’s decision to leave the Paris climate change accord behind, along with likely softening the federal fuel economy and emissions standards. China seems to agree with him, welcoming Brown and CARB chair Mary Nichols over earlier this year for strategic planning meetings on zero emission vehicles; and China is now following that model. Keep in mind that FCVs are part of it, and California is not baking off supporting these vehicles and their needed fueling stations. Toyota is covering all the bases: When reviewing Toyota’s decisions, keep in mind practicing the Japanese business philosophy of “kaizen,” or making continuous improvements in a corporate growth strategy. The management practice involves much longer phases than U.S. companies are used to. Toyota executives have clearly seen, since the 1990s, where government policy is going; along with a series of reports on increasing greenhouse gas emissions. The Japanese government has been pushing for FCVs and hydrogen stations and California, a few others states, Canada, and China, are going the ZEV route. Toyota’s product planning reflects the broad approach. It’s Prius Prime plug-in hybrid has been beating the Chevy Volt in U.S. sales lately with improvements made to battery range and other features; the Toyota Mirai has a long way to go but is getting substantial marketing support by the parent company; CEO Akio Toyoda is leading a team developing upcoming electric vehicle models; and even though sales of the Prius hybrid have been declining, the company isn’t backing away from building and marketing Toyota and Lexus hybrid models. 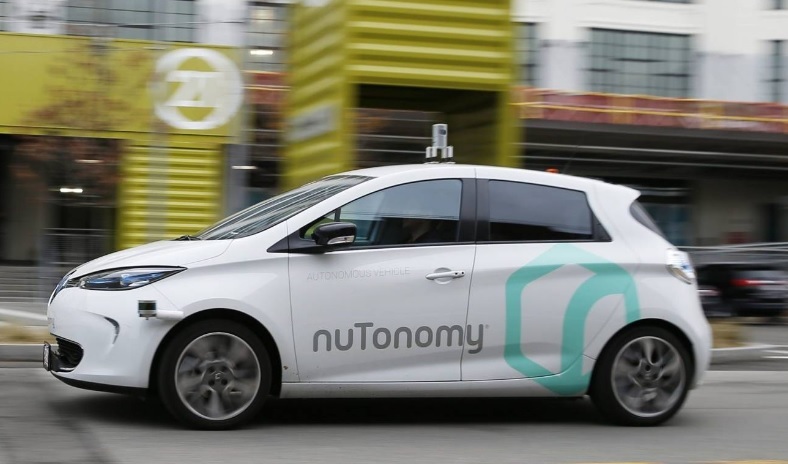 Lyft part of self-driving Zoe test project: Ride-hailing company Lyft will be testing out self-driving Renault Zoe electric cars in Boston with autonomous vehicle tech company NuTonomy. The two companies are waiting for approval from Boston city officials, but they do expect the pilot demonstration to begin in the next few months. 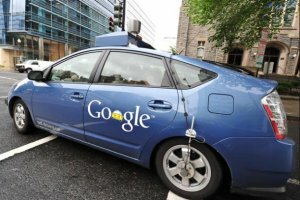 The study will examine the passenger experience during self-driving rides as the electric cars travel through certain neighborhoods in Boston. Lyft has been forging other alliances in the autonomous vehicle front – including an upcoming project with shareholder General Motors and another one with Waymo. Ride-hailing giant Uber had taken the lead on that front starting last year with a Pittsburgh pilot project that included passengers getting rides; but Uber has distanced itself from Pittsburgh and is focusing on test rides in Arizona. Automakers back Paris accord: Automakers look like they’ll be ignoring President Donald Trump’s decision to pull out of the Paris climate change agreement. Both General Motors and Ford issued statements in opposition to Trump’s decision. Both companies acknowledged that climate change is real, and that the U.S. decision will not affect their clean car strategies and manufacturing improvements. Tesla CEO Elon Musk had been clear he’d be leaving Trump’s economic advisory panel if he pulled the U.S. out of the Paris accord. Even oil giants Exxon and Shell have been backing the Paris agreement and would like to see Trump change course. It would seem that other automakers’ strategic plans on climate change and clean air would be in line with GM and Ford, including Toyota, Honda, BMW, Volkswagen, Daimler, Nissan, Renault, Volvo Trucks, BYD, and others. Natural-gas truck road trip: “Road Rally Across America” started yesterday in Long Beach, Calif., as several heavy-duty trucks and other vehicles powered by natural gas began a coast-to-coast road trip from California to Washington, D.C. The trip was kicked off by representatives from the California Natural Gas Vehicle Coalition (CNGVC), which is calling for the adoption of low nitrous oxide emissions heavy-duty truck technology powered by renewable natural gas in the Clean Air Action Plan of the San Pedro Bay Ports. That, called ACT Now, was announced last month in Long Beach during ACT Expo 2017. The 4,825-mile road trip is being sponsored by NGVAmerica. “NGVAmerica and its membership, including companies like Clean Energy and SoCalGas, believe that natural gas-fueled vehicles are the best and most immediate solution for eliminating the negative impacts of diesel and combatting climate change,” said Chad Lindholm, vice president of sales for Clean Energy and representative of NGVAmerica. Reactions to Trump on Paris climate accord: Cities, states, and major corporations are staying committed to backing the Paris climate change agreement after President Donald Trump said yesterday that the U.S. will be leaving it. Tesla CEO Elon Musk is stepping down from Trump’s economic advisory panel over it, while Apple, Google, Twitter, Amazon, Facebook, Microsoft, IBM, and other companies have issued statements that climate change is an urgent threat that requires a global effort to combat. As of yesterday, an unnamed group that includes 30 mayors, three governors, more than 80 university presidents, and more than 100 businesses, has gone directly to the U.N. to back the Paris climate accord. California Governor Jerry Brown, representing one of the three states, is traveling to China today and will be in discussions encouraging the world’s largest auto market to cut back on air pollution and emissions regardless of what the U.S. government has chosen to do. 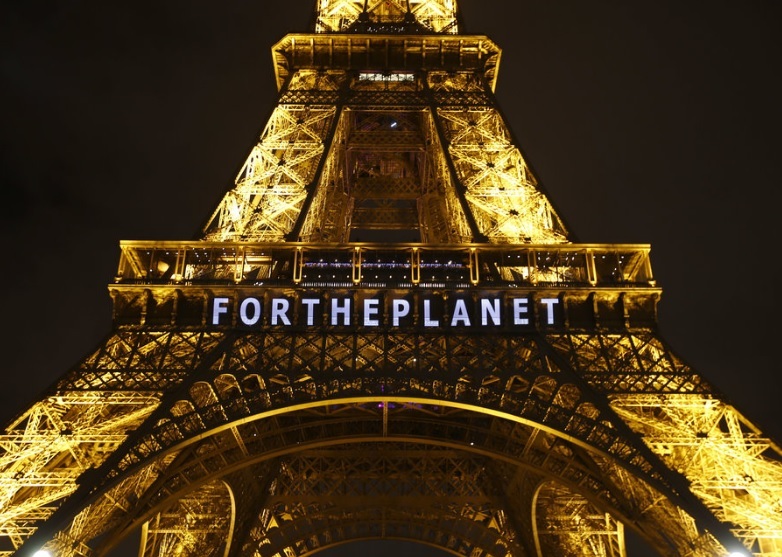 The Climate Mayors group, representing 83 cities in the U.S., issued a letter backing the Paris climate agreement. Cities, states, universities, and companies would like to see the U.S. meet a previous commitment made under the Obama administration to reduce greenhouse gas emissions 80% below 2005 levels by the year 2050. DOE funding increase: The U.S. Department of Energy announced yesterday that it’s it is honoring additional commitments to 10 previously selected Advanced Research Projects Agency-Energy (ARPA-E) awardees for a total of $20 million. It includes completion of approval for projects in ARPA-E’s Next-Generation Energy Technologies for Connected and Autonomous On-Road Vehicles (NEXTCAR) and Renewable Energy to Fuels Through Utilization of Energy-Dense Liquids (REFUEL) programs. NEXTCAR projects support improving vehicle energy efficiency, with a goal of reducing individual vehicle energy usage by 20%. REFUEL projects will use water, molecules from the air, and electricity from renewable sources to produce high-energy liquid fuels for transportation and other uses. China backing off mandate: China has lightened up on its target for automakers selling all-electric and plug-in hybrid vehicles in that country. Last September, the government proposed mandating that 8% of all new vehicles sold be these “new energy vehicles” by 2018, which received protests from domestic and international automakers. After meeting with German Chancellor Angela Merkel in Berlin on Thursday, Chinese Premier Li Keqiang said a “solution” for implementing the quotas had been found, but he didn’t lay out a specific Chinese government program to be implemented. With President Obama’s veto of the Keystone XL pipeline bill last week, it’s likely that the Canadian-US oil agreement will be stalled out for now. On Wednesday, the Senate will vote to override the president’s veto, but it will be a very close call. So, what are those issues that could bear on national interest? Economics: House speaker John Boehner (R-Ohio) thinks it’s a “no-brainer” and a national embarrassment that countries like Russia and China are moving ahead on massive pipelines, but the US can’t get the project off the ground. “The president is just too close to environmental extremists to stand up for America’s workers,” Boehner said in a statement. Supporters of the pipeline say that it would create construction jobs, reduce oil prices, and help grow the economy. Environmental issues: Sierra Club Executive Director Michael Brune says that the president has all the evidence he needs to reject the Keystone pipeline for now – it may contribute significantly to the climate crisis, and Republicans are too tied into their big oil allies. Other Keystone opponents argue that it would accelerate climate change, it could pollute waterways along the pipeline’s route, and won’t be contributing very much to the US economy. State Department: White House Press Secretary Josh Earnest told media that one of the reasons the president vetoed the bill is that the US State Department is still conducting a review of the massive pipeline that would be moving about 800,000 barrels of crude oil per day from Alberta to oil refineries in Port Arthur, Texas. Secretary of State John Kerry has been getting a great deal of pressure to give the green light to the pipeline, but the review process has been dragged out. The State Department had asked federal agencies for feedback on the $8 billion pipeline project, and hasn’t been clear about when its official statement will be released. US and Canada relations: The Canadian government and oil industry need to have Alberta tar sands processed in Texas and then distributed to oil refineries in the US and Canada. Canadian officials have expressed frustration with the decision, and suggest that it could set a bad precedent for bilateral trade agreements between the US and Canada. Too much gray area: Some of the Keystone opposition arguments come from concern that the facts may be distorted, and that investing $8 billion in the pipeline may not be worth it. While up to 42,000 jobs could be created, these are temporary construction jobs lasting one-to-two years; only about 50 full-time jobs such as pipeline inspectors would be put into place. There’s also the fact that plenty of oil and gas are being extracted from shale fields through hydraulic fracturing; and there’s so much global oil supply out there that oil prices – and gasoline – will stay low for the foreseeable future. Whatever you want to call it – climate science, climate disruption, or global warming – climate change is still coming up all over the map. Institutions of all types – large corporations, government agencies, research centers, and the United Nations – quickly set aside arguments that climate change isn’t happening. Their concern is whether it’s too late to stop devastating weather events, ocean acidification, melting ice caps, and massive losses of natural resources. Most automakers and other major stakeholders tend to agree with making the case for climate change. Volvo Group renewed its partnership with World Wide Fund supporting its Climate Savers program. Renault-Nissan CEO Carlos Ghosn says that climate change is one of his company’s primary concerns. Honda has been pleased to announce that it’s further reducing carbon footprint by building a wind farm in Brazil that will produce enough energy to power its car factory in that country. Alternative Clean Transportation (ACT) Expo has made a partnership with Carbon War Room and The North American Council for Freight Efficiency for the Trucking Efficiency joint effort. Thousands of diplomats from around the world are meeting in Lima, Peru to make a United Nations agreement on the long dragged-out debate on implementing its Framework Convention on Climate Change. Even though ground transportation makes up a big share of greenhouse gas emissions, it’s been a very tough sell to gain green vehicle acquisitions from fleet purchasing managers, truck transportation companies, corporate and government procurement officers, car shoppers, and consumers with influence over what their peers may purchase. Declining gasoline prices recently have had a big impact on retail car buyer decisions dipping on hybrids and electric vehicles. Those pump prices may drop down to $2 per gallon by Christmas-time at some US gas stations. OPEC failing to cut down on oil production should have something to do with dropping gasoline prices. Fleets are shying away from investing in natural gas vehicles and fueling, and to some extent propane, when they can better contain costs with fuel-efficient internal combustion engine vehicles. Consumers are facing similar challenges – the economic collapse of 2008-2009 is over, but the environment has definitely changed. There are still a lot of layoffs going on, sending kids to college is incredibly expensive, medical coverage hasn’t been turned around yet by Obamacare, and the cost of living can quickly creep up on each month’s bill-paying cycle for many Americans. Making an investment in a new vehicle technology is a tough sell, and the early adopters are done with their fascination with electric vehicles and other alternative powertrains. Make the case for return on investment (ROI). Fleets are finding they can reach payback in about two-to-three years in duty cycles after making the acquisitions; sometimes that happens within a year-and-a-half. After that point, the fleet saves money on that vehicle acquisition through fuel cost savings and sometimes through reducing maintenance costs. Green vehicles support the organization’s sustainability priorities. Many government and corporate employees will tell you impressive stories about their leaderships’ programs designed around handing over a clean environment to future generations. Their fleet vehicles make up a lot of that environmental impact, and today there are many practical and viable options for reducing greenhouse gas emissions in transportation. Don’t forget infrastructure. For alternative vehicle technologies to take off, they need a lot more fueling and charging stations out there. That takes a lot of funding and support, but the resources are impressive for those willing to build a network of leaders in the community. Go to your local Clean Cities Coordinator to get the ball rolling. Speak to other reasons besides climate change. 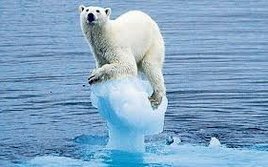 While many key stakeholders accept climate change as a given, some don’t and will shut down their attention and support if that’s the cause they’re asked to buy into. When you’re making the case for gaining funding support from your city council, corporate board, investors, or your spouse, also mention other top issues. These days, air quality and health hazards would make top of the list; independence from foreign oil imports still gains support out there (anti-OPEC is still a good one); and a broad sustainability perspective usually works, especially the idea of being responsible for what’s handed over to future generations. Don’t forget economic growth. In this day and age of economic globalization, fast-changing technologies, and industry shutdowns, supporting clean transportation makes more sense. It’s usually part of political lobbying and grant funding applications; but it also goes over well with business leaders looking for growth opportunities as the economic landscape continues to become more of a moving shell game. Job creation, public and private investment, infrastructure development, training and education programs, and technology innovations generally support the case for growth in clean transportation. Who will name the greenest car of the year at LA Auto Show? For those of us who regularly attend the Green Car of the Year presentation at the LA Auto Show, a very interesting announcement was made last week that caught our attention. Bobit Business Media will present the first-ever Green Fleet Car and Truck of the Year Awards at the 2014 Connected City Summit on Nov. 20, 2014, as part of the Los Angeles Auto Show’s Connected Car Expo. Bobit Business Media publishes the flagship magazine in the fleet industry, Automotive Fleet, and a few years ago started up Green Fleet and its annual conference. The company will select three finalists in each category, car and truck fleet of the year, based on submissions by OEMs. The finalists will then be voted upon by the readers of Green Fleet, Automotive Fleet, Work Truck and Business Fleet magazines through an online ballot. Deciding factors will include fuel economy, petroleum displacement, EPA air pollution score, EPA greenhouse gas emissions, Insurance Institute for Highway Safety Association ratings, and passenger capacity for cars and payload capacity for trucks. Bobit Business Media received input on the award criteria from the National Renewable Energy Laboratory, Oak Ridge National Laboratory, and Argonne National Laboratory. Per usual, the Green Car of the Year Award appears on the schedule on a Thursday morning during Press & Trade Days at LA Auto Show. At 8:35 am on Nov. 20, the award will be named. It’s not clear whether that will be the Bobit award or the one presented for several years at that day and time by Ron Cogan, publisher and editor of the Green Car Journal magazine. Last year, the winner of that Green Car Journal annual award was the Honda Accord ninth generation line-up, including gasoline, hybrid, and plug-in hybrid variants. The finalists for Green Car of the Year are usually announced in October. Another confusing point is how close these two award presentations will come to crossing over each other. If the usual Green Car of the Year is handed out at 8:35 in the South Lobby of the convention center, will it clash with the Connected City Summit, scheduled to start at 9:00 that morning? The Bobit press release says it will take place that day at Connected City Summit, but the Connected Car Expo site doesn’t specify those details. It’s possible that LA Auto Show forgot to revise the schedule to say that the Green Fleet Car and Truck Award winners will be handed out at 8:35 in South Lobby. Maybe both awards will be given out that day. I guess I could always ask somebody involved with putting on the conferences to clear up my questions. During a recent conversation with a very-high IQ 20 year old, I mentioned hearing an interview with an analyst on social trends tied to the GenY age group in America (about 18 to 30 years old). The analyst said they’re known for being concerned about social/economic justice, coming of age and scrambling for jobs during the Great Recession. They’re also concerned about environmental issues like climate change. I asked him for his opinion on the comments and whether he’s interested in driverless, autonomous vehicles, such as those being tested out by Google – and which I’ve sensed are much more appealing to young people than to 40-plus GenXers and Baby Boomers. Yes, he said, very interested, but he thinks the GenY concept is sort of a joke. I understood what he said about our tendency to categorize groups so that we can perform better in sales and marketing, attempting to influence voter opinion, etc. The irony was that while there may be some truth to the problems inherent in categorizing social groups, his satirical comment was also oddly symbolic of GenYers – they don’t like to be told what to do and who they are, and have an eloquent, blunt manner of getting to the point. They’re clearly influenced by Baby Boomer predecessors, such as their parents, who spoke out about things they didn’t like in the 60s and 70s, wrote pop hits about it, and made some pretty good movies. Accenture recently did a survey of more than 14,000 drivers in 12 countries. The survey found that GenY consumers are very much into technologies necessary for creating driverless cars. As for what they like – automatic braking systems that stop the car in an emergency and that prevent hitting an object; collision-warning systems; fully-automatic parking; and lane-keeping systems. They’re much less interested in getting their drivers licenses and owning a car than their elders. 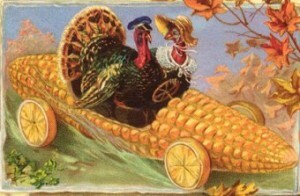 They do acknowledge the “bread and butter” necessities of transportation. They’re more engaged with carsharing, public transportation, hybrids and EVs, biking, and walking – than are older people typically stuck in traffic. Driverless cars make a lot of sense. As the young man said to me recently, he would prefer doing something else during the mobility experience rather than driving – watching movies, gaming, texting, and just kicking back – all of that sounds better than being enslaved by the steering wheel. I think I know what he means. November sales weren’t much different than October’s for plug-ins. The Nissan Leaf came in at 2,003 deliveries in November – one more than the Chevrolet Volt sold in October and higher than the 1,920 Volts sold in November. Tesla doesn’t report Model S numbers, but it was selling about 1,500 per month during the previous quarter. Ford saw a tough month where sales of C-Max Hybrid and C-Max Energi plug-in hybrid dropped 59% and 25%, respectively, from a year ago. Propane autogas and other alternative fueling stations just received more funding support from the state of Texas. The Texas Commission on Environmental Quality (TCEQ) says that grant funding is being made available to eligible individuals, businesses and government entities to continue the development of a network of Texas alternative fuel stations. Nineteen Texas counties in ozone non-attainment areas are eligible, including the Dallas-Fort Worth area, the El Paso area and the Houston-Galveston-Brazoria area. There are more than 700 propane autogas fueling stations now in Texas, and this funding initiative will widen the infrastructure for public and private fleets using propane, said Jackie Mason, Education & Marketing Director for the Propane Council of Texas. Dow Chemical withdrew from the electric vehicle charging business – selling its majority stake in battery maker Dow Kokam to an affiliate of Townsend Ventures; there are two other companies still in ownership status, but Dow has dropped out. SpaceX launched its first commercial satellite into space last week from Cape Canaveral Air Force Station in Florida. The Falcon 9 rocket placed a three-ton communications satellite owned by SES S.A. into high-earth orbit. Founder Elon Musk was thrilled watching it and tweeted about it. Mitsubishi announced a big $6,130 price drop for its i-MiEV electric car. It brings the sticker price down to $22,995. There’s a $7,500 federal tax credit, and for those living in California, a $2,500 incentive. 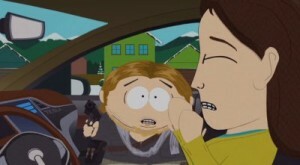 That would bring it down to $12,995. General Motors is investing $24 million into turning landfill gas into electricity that will power two assembly plants. This will take place at the Fort Wayne, Ind., and Orion, Mich., assembly plants and will generate 14 megawatts of electricity a year. That will save GM a combined $10 million in energy savings between the two facilities. It joins up with renewable, clean energy initiatives at several of its global production facilities. The state of Ohio is putting the Tesla vs. Franchised Dealers issue on hold for now. A state legislative committee decided not to vote yet on a licensing amendment that would prevent it from selling cars in the state. The Ohio Automobile Dealers Association wants to see the state adopt it and block Tesla from selling cars in the state outside the franchised dealer system. Roush CleanTech has brought in five business development executives with dozens of years of experience in automotive and alternative fuels. That brings the staff to 80 employees, up from six in 2010. Steve Whaley, Joe Rudolph, Don Manfredi, Derek Whaley, and Philip Mailey bring a lot expertise and experience with automakers, fleets, and alternative fuels to Roush CleanTech trucks, vans and buses that run on propane autogas. 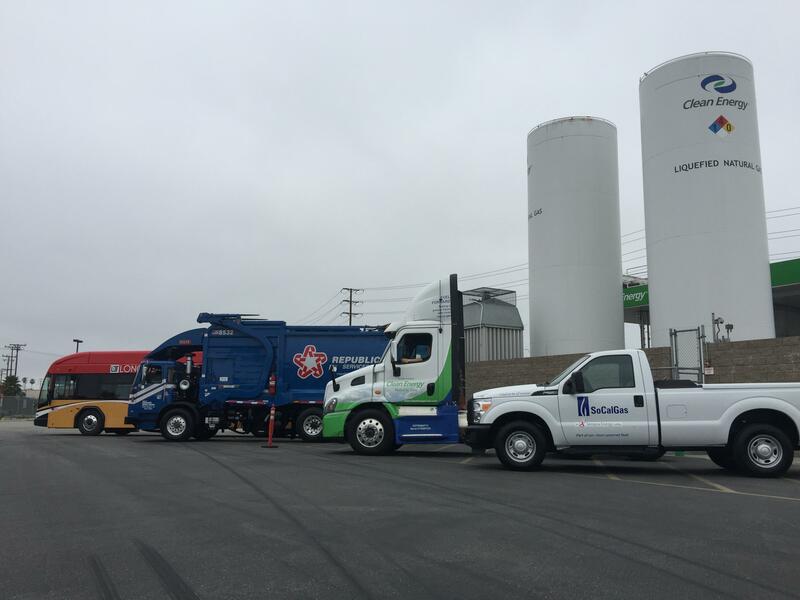 Westport and Clean Energy are working together to give fleets natural gas vehicle (NGV) options. Westport is offering free compressed natural gas (CNG) fuel through any Clean Energy station across the US to customers who order five or more Westport WiNG™ Power System operated vehicles between now and Dec. 31, 2013. Fleets considering natural gas vehicles have a chance to test out the technology, performance, and ease of refueling NGVs through this promotion. ClipperCreek is now offering its LCS-25P electric vehicle charging station with factory-installed NEMA L6-30, 14-30P, 14-50P, and 6-50P wall plugs. The five kilowatt, level 2 units costs $549. The addition of these new 240 volt plug types means the LCS-25P “can now be plugged in virtually anywhere,” the company says. As you break for a long holiday weekend, here are a few happenings to read about….. 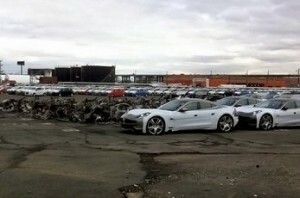 Things seem to be wrapping up for Fisker Automotive. Hybrid Technology Holdings, a Hong Kong-based investor group led by billionaire Richard Li, is buying the company’s assets for $25 million. That means the US Dept. of Energy will be losing about $139 on Fisker; the DOE will be overall be recovering about $53 million from its original $192 million disbursement. But there is some good news for Tesla. The automaker won a near-perfect score for its Model S, as it displaced the Chevy Volt at the top of Consumer Report’s annual vehicle owner satisfaction survey. It’s the best score the magazine has seen in years – 99 out of 100 points. The Nissan Leaf is paying off for the automaker, according to Jose Munoz, Nissan’s senior VP of sales and marketing for the Americas. The Leaf is not the top reason customers are referred to the Nissan brand, he said, and the vehicle is now profitable. Green Truck Summit is getting some ink – it will be March 4-5 in conjunction with The Work Truck Show 2014 in Indianapolis. It will offer attendees more than 20 educational sessions and a chassis OEM forum moderated by Indianapolis Mayor Gregory Ballard. Luxury SUV buyers and non-luxury car shoppers are most likely to consider buying alternative fuel vehicles including EVs, hybrids, hydrogen-power, or CNG-powered vehicles. That comes from a Phoenix Marketing International study. About 50% of the survey respondents were neutral to alternative fuel vehicles, while the two aforementioned categories have the highest percentages of “very” or “extremely” to purchase an alt-fuel vehicle. UPS was among the award winners at the NGV Achievement Award. United Parcel Service and Mike Scarpino, regional manager for DOE Clean Cities Coalition, were among the recipients of 2013 NGV Achievement Award held Nov. 20 in Atlanta. UPS was recognized for 25 years of exemplary NGV industry leadership. Eleven recipients were recognized during the gala and reception dinner at NGV America’s 2013 North American NGV Conference and Expo. Richard Kolodziej, president of NGVAmerica, was given a lifetime achievement award. The cap and trade market is getting some play in California. California companies paid about $297 million for carbon allowances on the state’s carbon auction. On Nov. 19, California’s fifth auction took place, where companies such as Exxon Mobil and Dow Chemical paid $11.48 per allowance to release one metric ton of carbon as early as this year. That was a lower price than a previous sale in August, when it sold for $12.22 per metric ton. All together, the five auction events have raised $1.4 billion. For those interested in real-time traffic data being readily available….. INRIX, Inc. introduced INRIX XD™ Incidents, which correlates real-time traffic flow data with information from nearly 400 public and private sources including media partners, departments of transportation, emergency responders, and community reports via mobile, and in-vehicle applications, as well as social networks like Twitter. The service offer traffic intelligence that reports more accidents, road closures, and other incidents across significantly more roads in more countries and at much greater speed than ever before. A little over a year ago – Oct. 29, 2012 – Hurricane Sandy struck New Jersey and the New York City metropolitan area in what became the most significant weather disaster since Hurricane Katrina hit New Orleans in 2005. Debate flared up about what caused this devastating event and its aftermath – 117 deaths; 200,000 homes damaged and a few hospitals; eight million residents affected by power outages; transportation being stopped; and $68 billion in costs. A lot of cars were destroyed at Port Newark, New Jersey, and it was one of the events that pushed Fisker Automotive far to the edge of staying in existence. New York City Mayor Michael Bloomberg knew it was caused by climate change; New Jersey Gov. Chris Christie doesn’t think climate change had anything to do with it. Stakeholders in the automotive and transportation sectors have been discussing the impact of the storm and what needs to be done to prepare for future emergencies. There’s been some disagreement by scientists and oceanographers on whether Hurricane Sandy was actually caused by climate change or if it was started by “perfect storm” conditions converging and flooding the region. As for the future – a recent report by the Intergovernmental Panel on Climate Change (IPCC) found low confidence that there will be climate-changed caused increases in tropical storms; other studies by experts that were completed too late to be included in the IPCC report differ on predictions for climate change’s storm impact. There is agreement by experts that the sea level has been rising and will continue to do so. This increases danger from storm surges; with the growling population around the world close to coastlines, the implications are staggering. Scientists at Stevens Institute of Technology in Hoboken, N.J., and their colleagues, are taking lessons learned from Hurricane Sandy to improve their coastal-flooding models to better assist evacuation and disaster relief plans. Bulkheads and seawalls will need to be elevated in preparation. Sandy wasn’t actually a hurricane – its wind speed had fallen below the necessary 74 miles per hour minimum level that’s needed for a tropical storm to become a hurricane. It actually should be referred to as “post-tropical cyclone” Sandy. While New Jersey and New York got most of the attention and media coverage, the coastal storm covered more than 1,000 miles along the East Coast. It broke 16 records for the highest storm tide ever. More than a third of the US population – 123 million people – live in coastal counties; this increased nearly 40% from 1970 to 2010; about 3.7 million live within feet of the sea at high tide. “Climate adaption,” “disaster preparedness,” and “sea level rise” were three search terms found to be connected to media coverage and discussions of Hurricane Sandy. Mayor Bloomberg has proposed a $20 billion plan designed to toughen the city against floods and storm surges. Much of that money would go to build flood walls, levees, and bulkheads. While government officials are exploring disaster relief and coastal protection policies, public opinion and media coverage have shown little interest in climate change and rising sea levels as issues that need to be addressed at the national level. 10. We can expect to see storm preparation and disaster relief as political and economic issues that will become more commonplace in elections, regional planning, and corporate policies. Transportation planning would be part of it. In more serious Tesla news….. Tesla was the top seller of zero-emission vehicle (ZEV) credits in California from Oct. 1 2012 to Sept. 30, 2013 (and Toyota led hybrid credit trades). Tesla transferred 1,311.52 ZEV credits during that time, according to a California Air Resources Board filing. The number two company was Suzuki and was far behind Tesla; Suzuki discontinued US auto sales in 2012 but was able to transfer credits accumulated in the past. Companies that acquired ZEV credits to meet their requirements included Chrysler, GM, Honda, Jaguar Land Rover, Subaru, and Volkswagen (though it’s not reported if they acquired their credits through Tesla or another automakers). California requires automakers to sell electric or other non-polluting vehicles in proportion to their market share in the state. Tesla CEO Elon Musk spent $989,000 at a London auction on a Lotus Esprit used in The Spy Who Loved Me by the James Bond character. Bond drove the car off a pier in the movie as it transformed into a submarine by merely pressing a button. Musk had fun with it, telling the USA Today he loved watching it as a kid in South Africa. He was disappointed to find out you can’t press the button and make it happen, but plans to upgrade it with a Tesla electric powertrain so that it can transform for real. Check out this video interview Terry Duncan, chief of consumer engagement at Mahindra GenZe, a US startup that has backing from India’s Mahindra. GenZe is rolling out an electric scooter in early 2014 targeted toward Millennials in the US. The product and audience was chosen based on two premises – urbanization is happening in the world’s major cities and transportation is being heavily impacted; Millennials in their late teens to early 30s are the right market to start with, since they’re not buying cars as much as previous generations, are moving to cities, and want functional, practical transportation alternatives. In another video, you’ll hear him discuss the design decisions made on the bike; while these types of vehicles have huge sales numbers in countries like China, they need to be extremely pragmatic and, let’s say, cool, to make it in the US. A group of Chinese investors based on Hong Kong and led by Richard Li are investing in Fisker Automotive for an unreported amount. This should finish the US Dept. of Energy’s loan to Fisker – most all of the $192 million loan needs to be paid back and the investor deal will probably only meet some of it, which the US government has been ready to accept. A small chunk of the payback will come through former GM vice chairman Bob Lutz. VL Automotive, a small Detroit company that has Lutz’ backing, will be converting 25 unsold Karmas from plug-in hybrid power to Corvette power. VL had to settle a dispute with an Asian investor that had prevented them from accessing codes operating the car’s infotainment system. Lutz says these converted Karmas will come out in 2014 for something close to $200,000. Clean­Fuel USA has installed 85 retail propane auto­gas fuel­ing sta­tions across 13 states. This was funded by a $12 mil­lion grant from the US Depart­ment of Energy’s Amer­i­can Recov­ery and Rein­vest­ment Act. Texas State Tech­ni­cal Col­lege – TSTC – served as the lead grantee. The major­ity of the 85 sta­tions are located near heav­ily traf­ficked road­ways, exist­ing fuel­ing sta­tions, major air­ports and home improve­ment stores, Clean­Fuel said. Don’t believe in climate change? What about lung cancer? The International Agency for Research on Cancer, based in Lyon, France, has released a study that formally declares air pollution is causing lung cancer. The research arm of the World Health Organization focused on diesel cars and trucks in operation around the world as a major source of the problem. ChargePoint is offering a lease-to-purchase program for businesses and cities to install its charging system. The systems usually cost between $6,000 to $12,000 to buy and can cost about $3 to $6 a day over five-to-seven years to pay off under the finance program. GM will be offering a bi-fuel version of the Chevrolet Impala that will be able to travel up to 500 miles on gasoline and natural gas. General Electric Co. is converting heavy-duty trucking fleets from diesel to natural gas. GE has partnered with Clean Energy Fuels Corp. and truck fleet operators can apply for loans and leases through GE Capital to make the conversions. Plug-ins missed the Green Car of the Year award nominee list. 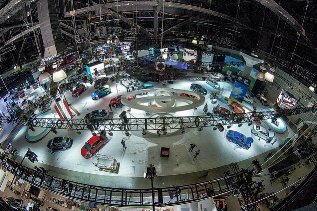 The winner will be announced next month at the LA Auto Show form the following list: Audi A6 TDI, BMW 328d, Honda Accord (though the plug-in hybrid was included with the hybrid and ICE versions of the Accord), Mazda3, and Toyota Corolla. Experts speaking at the annual ITS World Congress in Tokyo expressed concerns over issues that do tend to come up with self-driving cars – technical challenges, lack of industry standards, vague and minimal regulations, implementation costs, and liability issues. Toyota is being a little more optimistic, expecting that elderly drivers could likely make up a strong market segment for self-driving cars. A study by UK-based Kantar Media says that the BMW i3 saw huge media gains in the third quarter after its debut last month at the Frankfurt auto show. It was No. 2 in online news coverage from No. 60 during the second quarter. It came in 8th place in both Tweets and blog mentions during the third quarter versus being in low 100s rankings for both segments in the previous quarter.